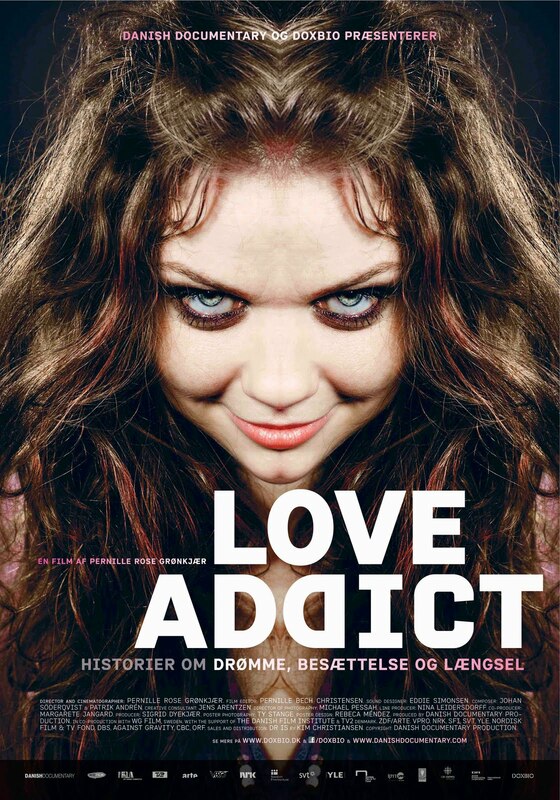 On Wednesday the 6th of April at 7pm, Pernille Rose Groenkjaer's brand new feature documentary, LOVE ADDICT will premiere simultaneously in 40 cinemas throughout Denmark. The entire creative team behind the film will be present in Grand Teatret in Copenhagen, and after the screening, the director will take the stage and participate in a debate about the film and the phenomenon of love addiction. The debate will be live streamed in all 40 cinemas, and everyone has a chance to participate and ask questions to Pernille via SMS. For cinema tickets, please contact your local cinema and for more information about the event and the film, check out DOX:BIO or our Facebook event.